SVN International Corp. (SVN), a full-service commercial real estate franchisor of the SVN brand, announced the addition of its newest franchise office, SVN | Holloway in Southern Mississippi. SVN International Corp. (SVN), a full-service commercial real estate franchisor of the SVN® brand, announced the addition of its newest franchise office, SVN | Holloway in Southern Mississippi. 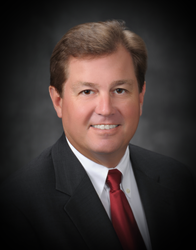 Led by Managing Director Kenny Holloway, the firm specializes in providing commercial sales, leasing, property management and consulting services throughout the Mississippi market. SVN | Holloway is the second SVN office in the state of Mississippi, expanding the company’s full-service, collaborative approach to commercial real estate in the region. Holloway brings 10 years of experience in commercial real estate to SVN | Holloway, where he will lead a team of Advisors focused on commercial real estate advisory within the local market including Harrison, Jackson, Hancock, George, and Pearl River counties. The firm plans to leverage SVN’s international platform to support the firm’s growth and reach, as well as the cutting-edge commercial real estate technology available to all SVN franchises to help advance its offerings to the local market. The SVN brand was founded in 1987 out of a desire to improve the commercial real estate industry for all stakeholders through cooperation and a shared vision of creating value with clients, colleagues and communities. SVN currently has more than 200 offices serving 500 national and international markets. By tapping into this broad network, SVN | Holloway is able to offer its clients expanded reach for finding, acquiring and arranging commercial investments. SVN is the only major commercial real estate brand that markets all of its qualified properties to the entire brokerage and investment community. Participating in more than $10 billion in sales and leasing transactions in 2016, SVN Advisors shared commission fees with co-operating brokers in order to close more deals in less time and at the right value for clients. Advisors also reap the benefits of SVN | Live™ Open Sales Meetings, cloud-based leading-edge technology, and national product councils. This open, transparent and collaborative approach to real estate is the SVN Difference. The SVN organization is a globally recognized commercial real estate entity united by a shared vision of creating value with clients, colleagues and our communities. The SVN brand is comprised of over 1,600 advisors and staff in more than 200 offices across the globe in six countries. Our brand pillars represent the transparency, innovation and inclusivity that enables all our advisors to collaborate with the entire real estate industry on behalf of our clients. SVN’s unique Shared Value Network® is just one of the many ways that SVN advisors create amazing value with our clients, colleagues and communities. For more information, visit http://www.svn.com.